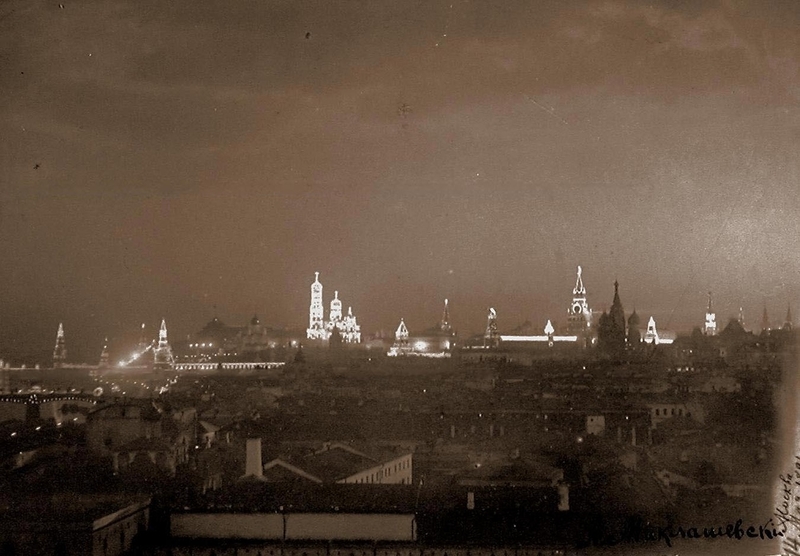 Believe it or not, but for the last Russian Tsar’s coronation – the day when he got into power – they decorated the whole of Moscow city’s Kremlin with electric bulbs, just like people decorate their houses now for Christmas. 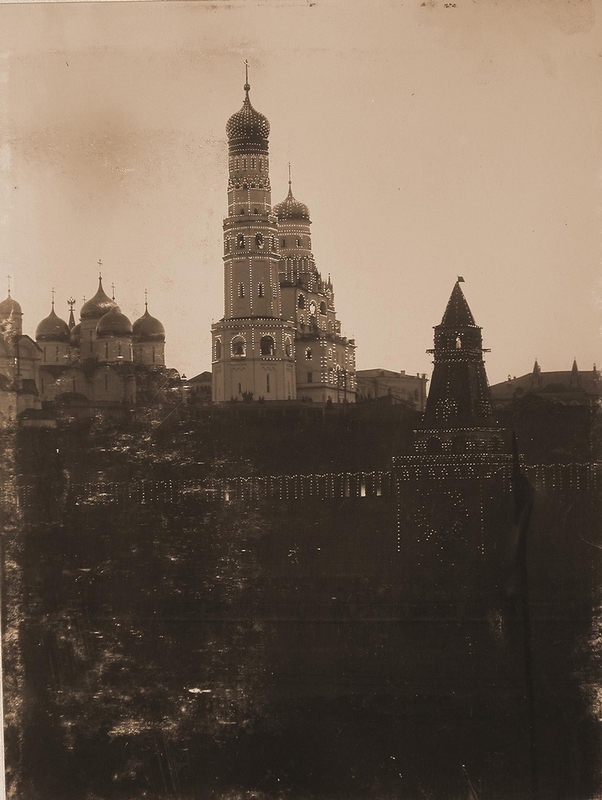 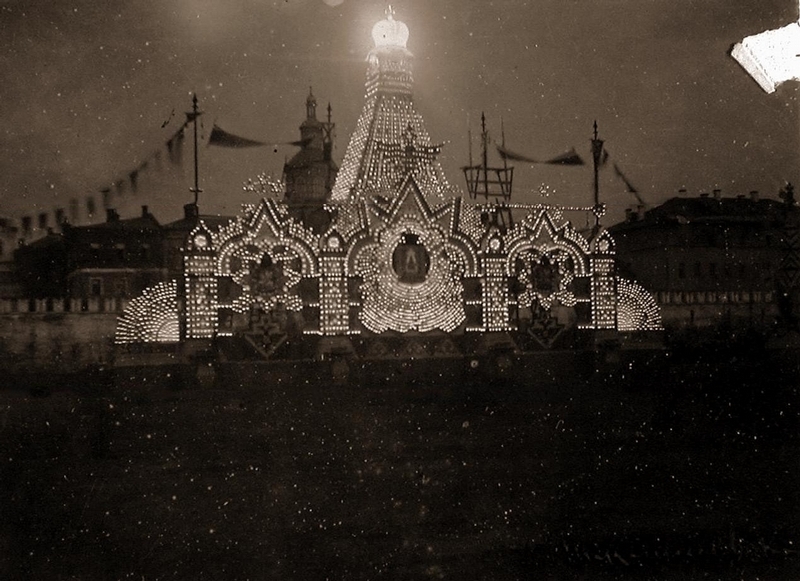 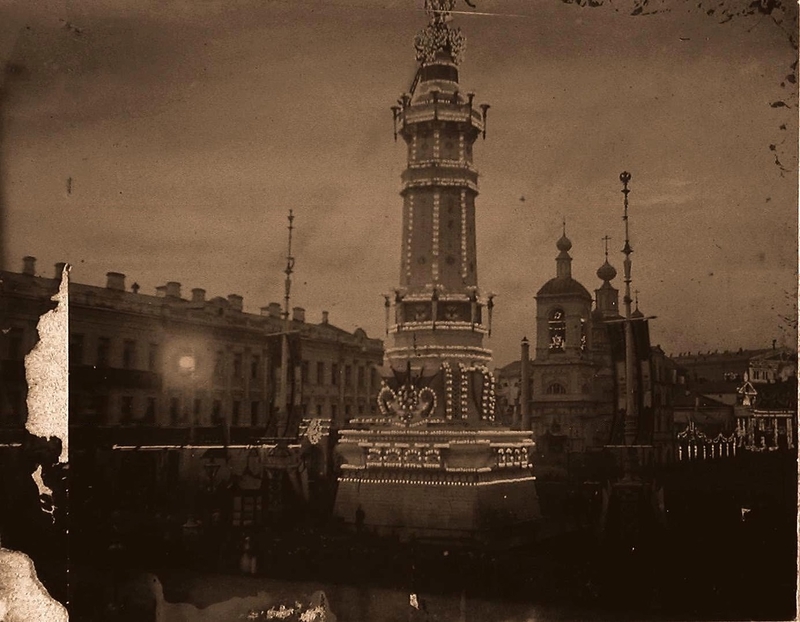 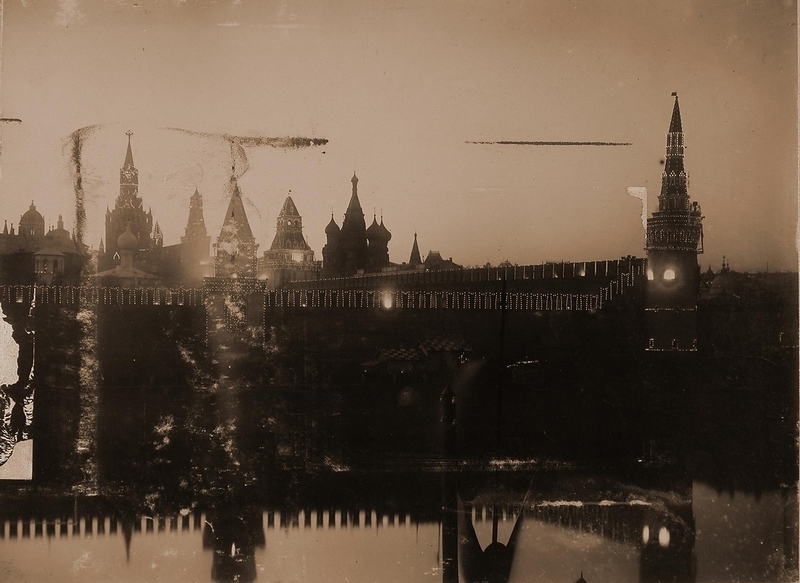 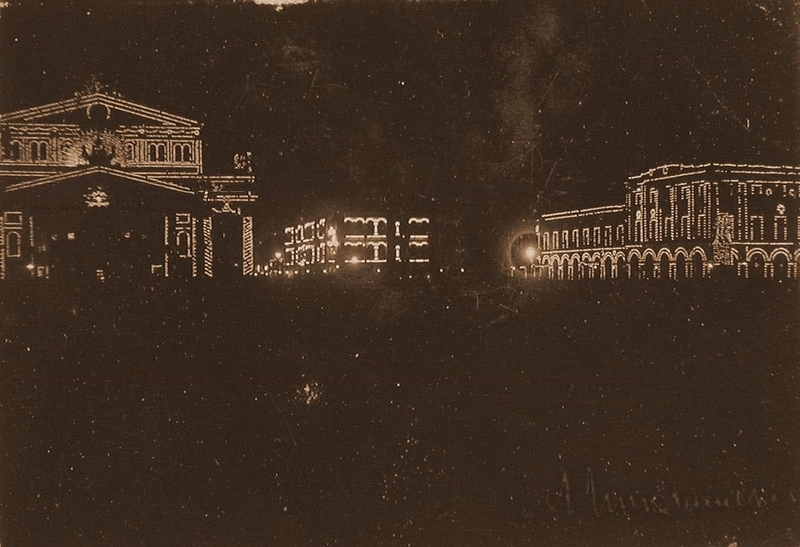 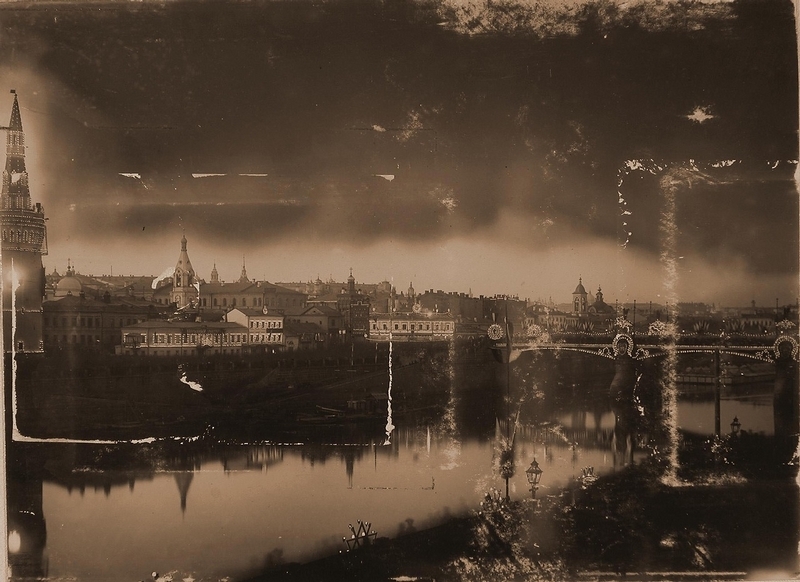 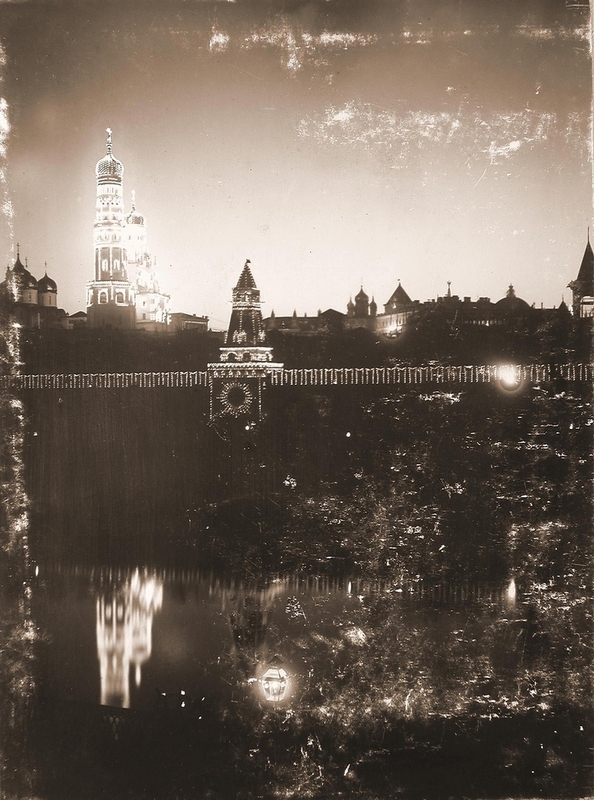 Seeing these photos of the Kremlin with all the holiday lights on at night, it’s really hard to believe that they were taken as far back as 1896 – almost 120 years ago! 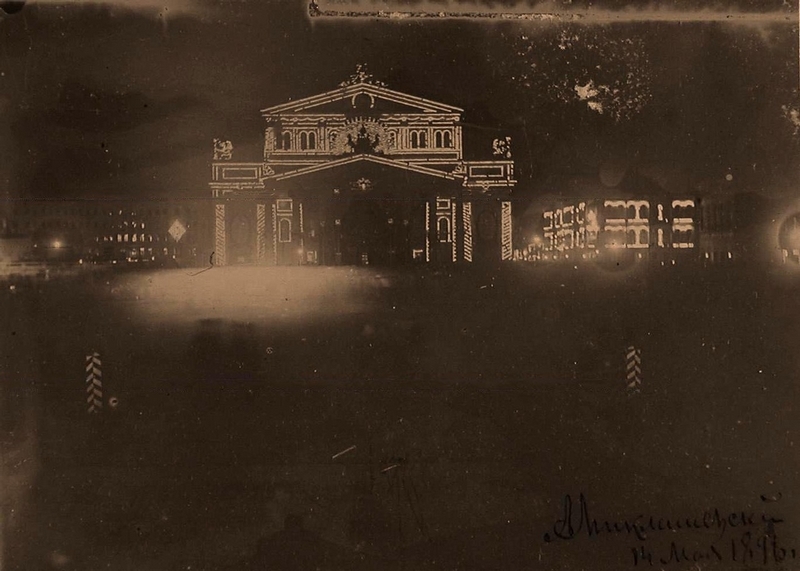 Photos are inside. I think that for the peasants that got a chance to visit Moscow at this time seeing something like this at night, with full lights on was something close to seeing a live alien warship for a contemporary person, comparing by the degree of delight one can get by simply seeing things. 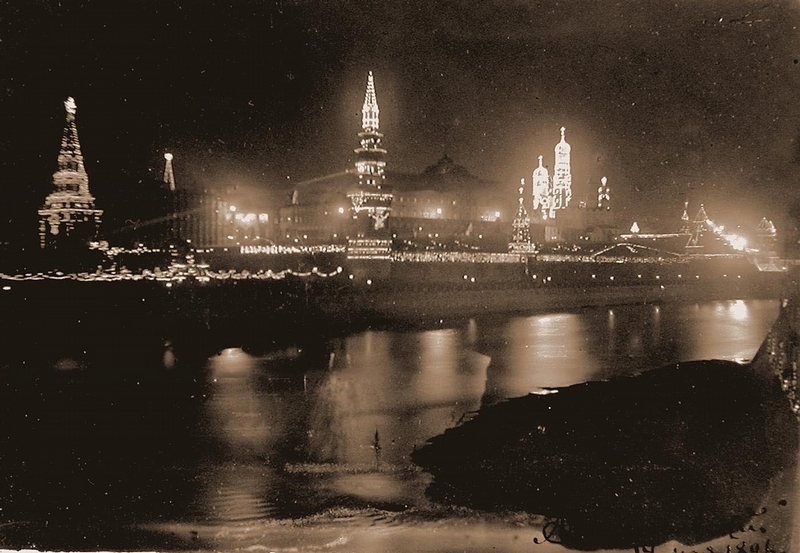 Even twenty something years later, when Lenin took power, it was said that only thirty percent of Moscow households had electric bulbs, so such an abundance of lights was truly exotic at the time. However, the Tsar’s Russian authorities tried to attract world-class engineers to develop the electrification projects. 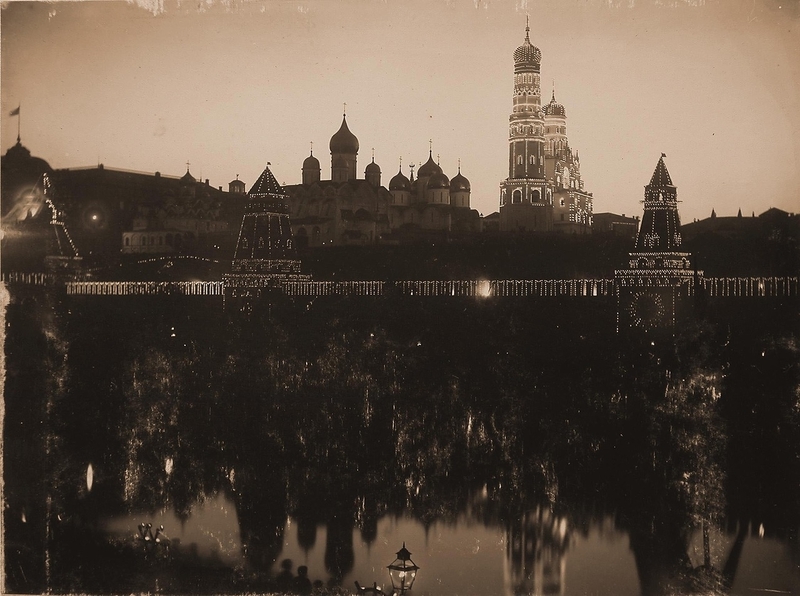 Like Baron von Siemens, whose company survives into our times, he received Russian citizenship and moved to Russia. 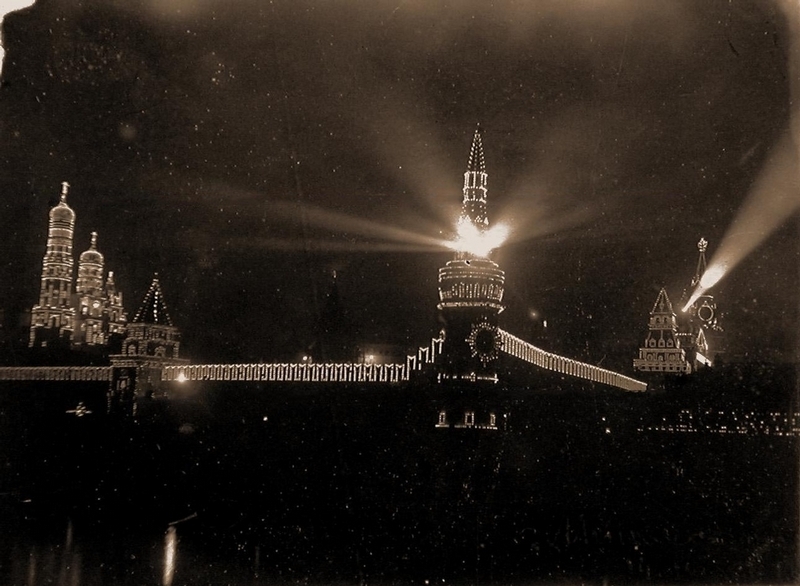 They say it was Siemens who decorated the Kremlin for the holidays. 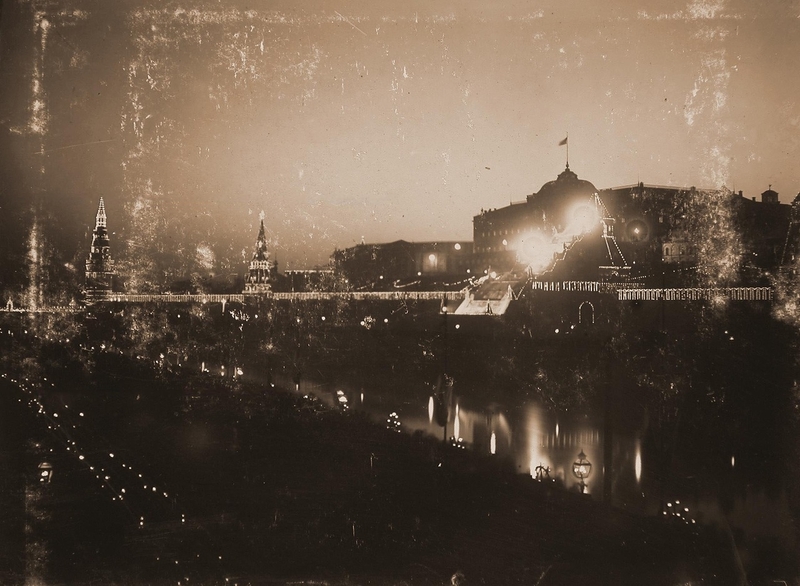 That is an interesting fact about Baron Siemens. I never knew that he moved to Russia and became Russian citizen.